Scott Cam, Hamish Blake, Andy Lee, Carrie Bickmore, Asher Keddie and Steve Peacocke are off and running for the Gold Logie Award 2015. Nominees were announced today at an event at Crown in Melbourne, hosted by Amanda Keller and Shaynna Blaze. All six have been nominated before, with three a previous recipient of the Gold trophy. Most Outstanding Drama Series is a contest between Janet King, Puberty Blues, Rake, The Code and Wentworth. The winner of the Graham Kennedy Award For Most Outstanding Newcomer will win a round-trip to Los Angeles, a one-year scholarship at Stella Adler Acting School in LA and mentoring with prominent industry contacts. The recipient will be announced ahead of the event. US singer Meghan Trainor was also announced to perform, joining Sam Smith. • The Worst Year Of My Life, Again! (ABC3). Hall of Fame award will be announced on the night. 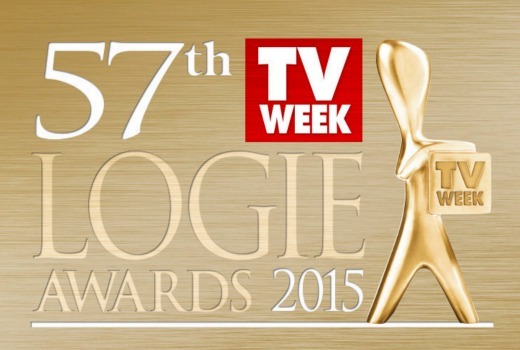 The 57th Logie Awards will take place in Melbourne on May 3rd and broadcast on Nine.